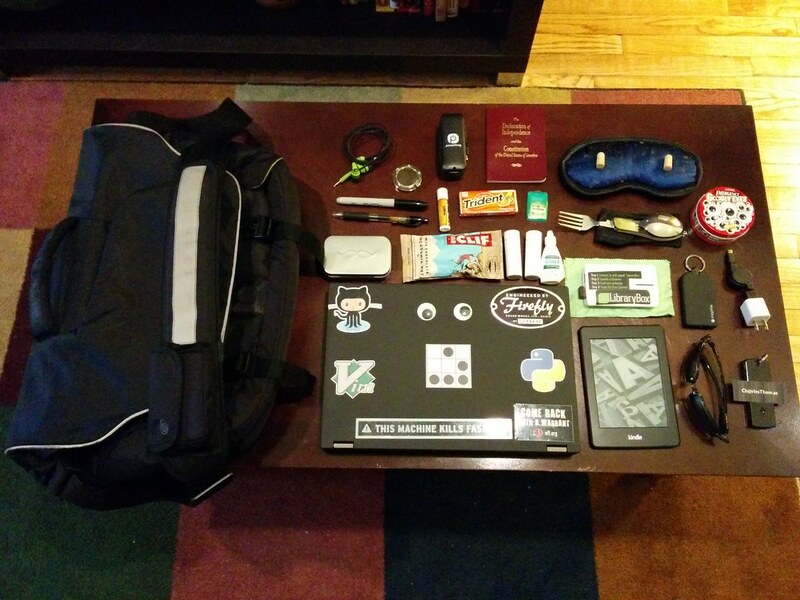 I changed a bunch of stuff about my daily Go Bag (what I take to work every day). So I figured it was time for an update. The biggest change is that I swapped out my Timbuk2 bag for a Powerbag. The Powerbag has a built-in battery pack for charging mobile devices. I added this, because I built a LibraryBox, and the Powerbag can power the LibraryBox. I also got a new laptop; trading in my Macbook Air for a Thinkpad. It’s great to be running Linux again.